Second Discus release from this Canadian ensemble documents Chris Meloche's summer 2005 live encounter with Sheffield improvisors, subsequently re-edited by Chris and with overdubs from Herb Bayley. In early 2005, Martin Archer, Nick Robinson and Simon Robinson began plans to feature Canadian composer/performer Chris Meloche in his first live performance in the UK. The concert took place on Sunday, July 3rd at Over the Top in Sheffield. The evening was organized as three half-hour sets... 1) with Nick Robinson on guitar and loops, 2) with Martin Archer on software instruments, 3) with Martin, Mick Beck (bassoon) and Charlie Collins (vibraphone) and was committed to tape by Chris Trent. All involved agreed that the concert was a great sucess. Upon hearing the resulting recording, Martin Archer had the idea that Outward Sound Ensemble member Herb Bayley should contribute to the project. Bayley then overdubbed his sounds in real-time over the original performances. What is heard on this disc is the result of a trans-Atlantic collaboration of the OSE with some of England's best improvisors. Herb Bayley and Chris Meloche first met in 1988 when Bayley played a concert with bassist David Lee. Since that time, the two have worked together on numerous projects in many diverse contexts. In 2002, they began their latest sonic venture which they call the Outward Sound Ensemble (OSE). Prior to their first recording session, they had their own visions as to what the end result would sound like, however, it was never discussed between the two of them. After recording the first piece, they sat down and listened to the pIayback. Both agreed that it was the way in which they had imagined the work to sound. Bayley and Meloche now refer to the resulting process as "real-time soundscape diffusion." Meloche first heard Martin Archer's music in the mid-1990s. In recent years, Meloche has contributed to a number of Martin's recording projects. Subsequently, he felt that Martin would fit in well with the concept of an OSE recording. After listening to a coupIe of OSE sessions, Martin recorded an hour of sounds using a manipulated violin set-up. Bayley and Meloche both agreed that this material would fit well within the framework of their soundscapes. In the studio, the OSE play live direct to 2-track digital tape. There are no synthesizers or samplers employed, only the sparse instrumentation listed. The recordings are purely "live" with no overdubbing or edits. There is also no mixing console used to balance the sound. All balance is obtained by the placement of the sound producing elements in relation to the stereo binaural microphone system. During the recording of this session, a violent thunderstorm began. The listener can clearly hear claps of thunder about three quarters of the way through the recording followed by the white-noise rush of rain on the roof of the studio and more thunder. This only added to the atmosphere of the session and recording did not stop. "Thunder in a clear sky" is a document of a special moment in time when all of the elements completely fell into place. Herb Bayley (musician/producer) has worked in nearly all areas of the arts for over 25 years. His artistic life began as a trombonist, which lead to work in community radio as an announcer and eventually as a freelance producer. As a producer he has worked in radio, live recording, theatre, video, dance, poetry, performance and visual arts as well as new media. Highlights include the founding of 'Sunfest' one of Canada's largest festivals of World Music, creating 'Radio Ethos' Canada's first volunteer-run community-based Internet radio station and co-founding 'Open Air' London Ontario's largest Public Art exhibition. As a musician he has worked and recorded in a wide variety of musical settings including big band, jazz, rock, punk, improv and electroacoustic music. Classically trained, most of his professional work has been in jazz and improvised music and has lead to long term partnerships with clarinetist Tom Lenehan, guitarist Lloyd Garber, saxophonist Eric Stach and his twin brother saxophonist Randy Bayley. One of his most fruitful collaborations is with composer Chris Meloche yielding, over the course of 15 years, numerous innovative and diverse projects. 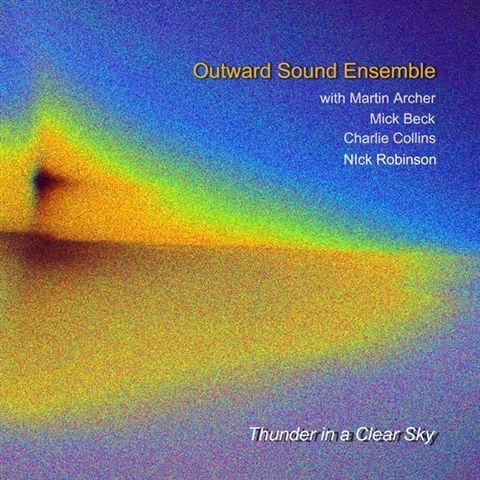 Their current collaboration is the Outward Sound Ensemble in which they are developing a new sonic vocabulary they call "soundscape diffusion". This new vital open language is the stimulus for a vast array of future projects and collaborations with many other art forms. "This British/Canadian aggregation intertwines mechanized avant-garde improvisation with loops, horns and other tools of the trade for a recording that presents astonishing realism. Recorded live in U.K., trombonist Herb Bayley subsequently overdubbed his parts to consummate the end result, resulting in this CD.